The ‘like’ and ‘upvote’ have become an integral part of navigating the internet; what would Facebook or Reddit be without them? Still, as far as expressing how you actually feel about that infuriating article, sad photo or funny cat video, they’re pretty basic tools. Vicomi, a Web platform that provides publishers tools to measure user ‘sentiment’ is looking to change that with the official launch of its response system dubbed “Feelbacks.” Instead of simple binary response, its system lets users react on a spectrum of emotions. 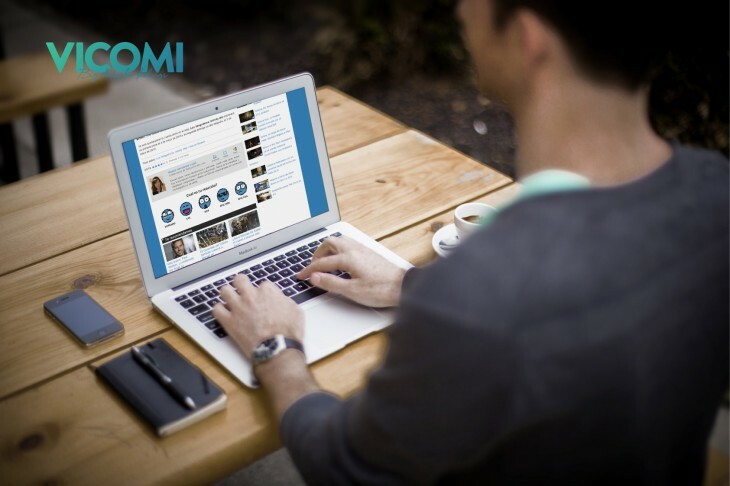 Vicomi believes Feelbacks allows users to more succinctly share their reactions while also fostering a more engaging community. It’s not the first attempt of its kind – some websites have individually implemented feedback systems based on emotions for a while now – but as far as a platform anyone can use – there aren’t many competitors. Besides, there are some unique features here. In particular, it makes article recommendations based on a user’s mood – kind of like Songza, but for articles. Websites can also customize the widgets they use to represent feelings, including adding responses of their own. An emotional response scale also has the potential to provide publishers more thorough insight into its readership – it’s more detailed than a simple Like, while also being more quantifiable and convenient than the contents of a comment. In fact, Feelbacks’ beta trial has already led to some interesting data, including tidbits like readers who respond as ‘Angry’ tend to consume more content and read more articles, while ‘Happy’ readers click on more ads. Apparently, angry readers are also looking for articles that will make them more angry. Vicomi says Feelbacks has been used by thousands of websites so far in its beta form, but with its official launch it hopes to make a bigger impact on the mainstream. It’s hard to say effective the approach will be – while it’s more detailed than a simple like, emotions are often subtle and multilayered, so a few icons expressing predetermined feelings might seem too rudimentary. Still, it’s worth questioning whether our current like and upvote system is in need for a refresh, and aiming for a more detailed approach to understanding audience reactions could ultimately benefit both readers and publishers.